Dentist Loyalty Programs - Reward your patients! Are you a dental office that truly wants to practice customer retention but doesn't want to spend the majority of your marketing budget on a loyalty program? 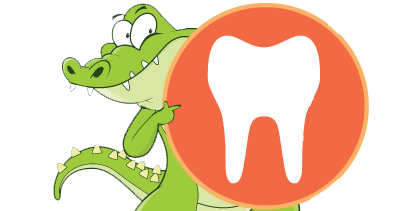 Loyalty Gator offers an easy to use platform to help make trips to the dentist even more rewarding. Get an edge over the competition with your own patient loyalty program. Loyal customers spend more money. Loyalty Gator is an affordable customer retention program that's customized for your business. Increase visits, spending, and word of mouth with a rewards program for your patients. Plus, start tracking your visitor activity to pin-point your most loyal customers, and what motivates them. Increase patient communication and promote special offers to help create a pleasant customer experience with your office. How would you use loyalty gator to benefit your dental office? Create your own custom patient loyalty program for your dental practice! Contact Us today to learn more about how a loyalty program can benefit your business!